If the weather outside makes Hoth look tropical, then you need to get yourself the Star Wars Stormtrooper Bobble Hat, the perfect way to stay warm and look super cool! 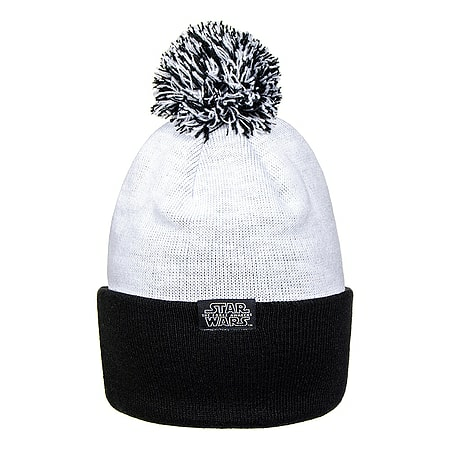 Made from thick and snuggly knitted acrylic, this awesome bobble hat bears an integrated Stormtrooper slogan print and iconic Stormtrooper emblem embroidery to the brim. Completed with a large two tone pom pom, you're sure to stand out from the crowd with this out of this world beanie hat!